In Missouri City, TX. We are committed to providing you with the highest level of service, so you’ll always choose us for your maintenance and repair needs. For most people, auto maintenance and repair is never fun or convenient. So for over 10 years, we've worked to make the process as easy and enjoyable as possible for our customers. We genuinely care about your car and your experience, and it shows. Our first-time customers often turn into lifetime members time and time again, choosing us for all their auto needs. Missouri City Mobile Auto Repair is here to get your car running as fast and for the least amount possible out of your pocket! We save you money by not having to tow your car to a shop and then charge you less than most auto repair shops cost. You can enjoy the convenience of having a professional mechanic coming to you and saving money. 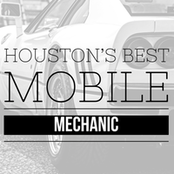 Missouri City Mobile Auto Repair can do this because we keep our overhead down by not having high monthly rent or advertising costs and then we rely on mostly repeat and referral business. With that in mind we want your repeat and referral business and we know that the only way to earn it is to make sure you have a great experience with us and want to tell your friends to call Missouri City Mobile Auto Repair in the next time they need vehicle repairs or maintenance work or even just a brake job and an oil change. Many of our clients also love not having to wait in a mechanic’s shop waiting room! We can come to you whether you are at home, at work.